It is important to note that the study did not investigate why these events were more common in women with severe migraines. 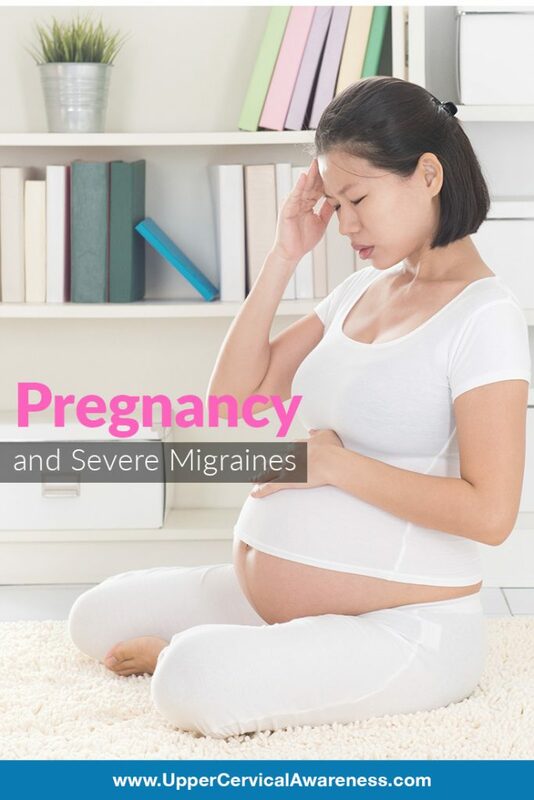 Traditional migraine treatment for a pregnant woman involves NSAIDs and potentially IV drugs if the symptoms are severe enough. These can stop migraine symptoms short-term, but they do not get to their root cause. Many migraine sufferers are looking for natural treatment options. How are my migraines related to my neck? ​Your spine is responsible for protecting your spinal cord. Your spinal cord is responsible for sending messages to and from your brain. When the top bone in your spine (atlas) misaligns, this creates pressure within your spinal cord. This pressure causes the messages going to and from your brain to be distorted. This may lead to migraine symptoms, such as head or facial pain and muscle spasm. ​Upper Cervical Care is a chiropractic technique that is designed to gently realign the atlas vertebra. Upper Cervical is incredibly precise – this allows for no popping or twisting of the neck. Through realignment of the atlas, tension on the spinal cord is reduced. This allows for proper signals to travel to and from the brain. Having proper signals may lead to reduced migraine symptoms.